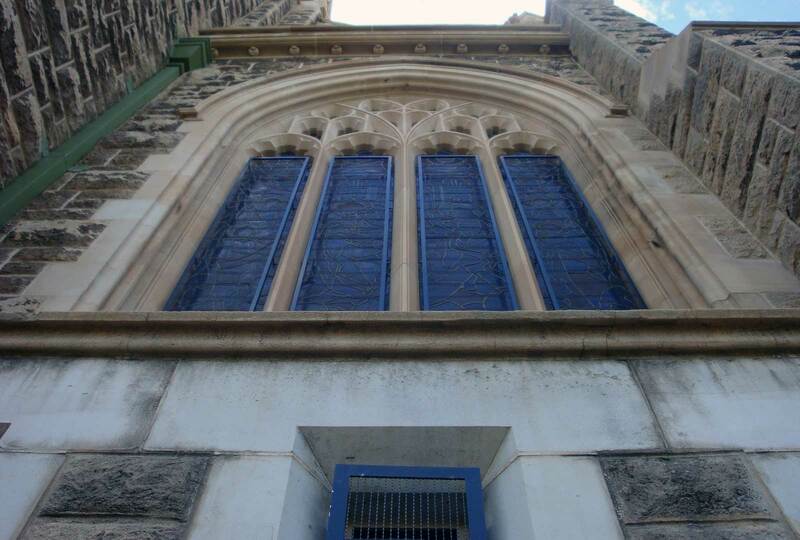 Augen Design liaised with the Architect and Builder to achieve a few different Architectural metalwork features on the St Mary’s Cathedral. 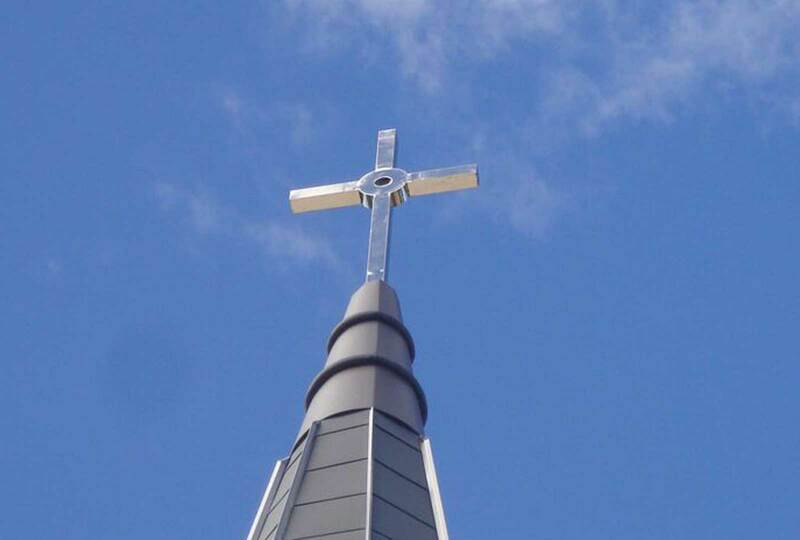 Augen supplied and installed a new highly polished stainless steel cross to the new portion of the cathedral. 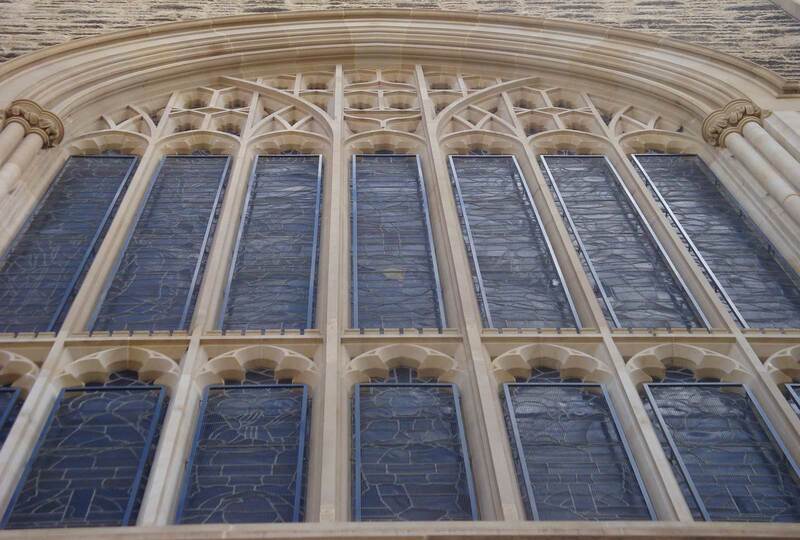 We upgraded the zinc flashing to the main original spire, and supplied the black powder coated stainless steel mesh screens to protect the irreplaceable stained glass windows. The black powder coated frames incorporating the mesh were chemically anchored into the existing limestone work and were unobtrusive but protective of the windows.